August | 2011 | GameXcess.net - Gaming News, Videos and Editorials! I finally have Internet restored after several days of it being out due to Hurricane Irene. However, even without Internet I have continued my Metroid Prime Trilogy Anniversary run as promised. Yesterday, I was able to 100% Metroid Prime 2 in 16 hours 11 minutes and unlocked both of the secret endings of the game. It really came up to the last minute before I could determine I scanned everything in the game before getting to the final boss. It turned out I had missed scanning something but it was a research item that I did stumble back upon while playing the last section of the game. Two games down, and with Internet back, I’ve started the third and final game. Anyone with a copy of Metroid Prime 3 or Metroid Prime Trilogy, post your Wii Friend Codes in the comments section (and which game you play), and I’ll send you a friend voucher good for a green credit. You’re welcome to send me friend vouchers as well! Maniac is joined by his good friend, Twitch of Twitchgaming. Twitch brought over his Super Nintendo which has been in storage for about ten years, and we see if we can get it up and running on a modern high definition surround sound system. Can you believe all it takes is a standard definition video cable that ship standard with all Wii and GameCubes? I didn’t want to clutter up the main page with incremental updates on the progress I’ve been making on my promise to 100% the games of the Metroid Prime Trilogy, but I figured that big updates on the main page would be a good idea. I am currently over one-third through this run in just under a week of playing. I have been able to 100% complete the very first Metroid Prime game and my progress is continuing through Metroid Prime 2. Keep your eyes on the twitter feed to regular updates to my progress and stay tuned here for major updates to my run. In other news, did anyone else know that Samus Aran was a girl? Say what you will about GameStop’s policy of opening all new games, scratching the discs as they move them into paper sleeves, then having to pay full retail price for these damaged discs when you can pay the same price for a still sealed and working copy of a new game anywhere else. You can also say whatever you want about them refusing to stock new copies of games and instead only keeping stock of used products so as to maximize profits, cutting out potential sales from game developers and publishers. But today, various news organizations have uncovered an official GameStop policy, (which has been openly confirmed by GameStop as official policy to various organizations) regarding the new Deus Ex game which may be a violation of US law. New copies of the PC Version of Deus Ex: Human Revolution include download codes for a free copy of the game to be played through OnLive. This kind of practice is not unheard of, new copies of the PS3 version of Portal 2 came with free codes to a full copy of the PC version through Steam. Well, GameStop has decided they don’t like their customers are getting OnLive codes and are telling all their retailers to open the new copies of the game and discard the OnLive download codes. Their defense is that OnLive is a competition and they have the right to prevent their customers from having access to them. This policy sounded worse than just bad news for customers, this sounded illegal. So I started doing some research of US Anti-Trust laws and discovered that what GameStop is doing FITS THE EXACT DEFINITION. For those of you who don’t know what the specifics of the US Anti-Trust laws are, here’s some general information about it. Antitrust laws protect competition. Free and open competition benefits consumers by ensuring lower prices and new and better products. In a freely competitive market, each competing business generally will try to attract consumers by cutting its prices and increasing the quality of its products or services. Competition and the profit opportunities it brings also stimulate businesses to find new, innovative and more efficient methods of production. When competitors agree to fix prices, rig bids or allocate (divide up) customers, consumers lose the benefits of competition. The prices that result when competitors agree in these ways are artificially high; such prices do not accurately reflect cost and therefore distort the allocation of society’s resources. The result is a loss not only to U.S. consumers and taxpayers, but also the U.S. economy. It would seem this confirmed policy is a textbook example of unfair business practices. Now, Anti-Trust laws are enforced by the Federal Trade Commission (FTC) and the United States Department of Justice (Anti-Trust Division). If you bought the PC version of Deus Ex: Human Revolution from GameStop new and your game has been opened before you bought it and does not have an OnLive Code, the US Department of Justice does have reporting information on their official website for violations of the three major anti-trust laws. This is a federal law, but you can also contact your local state Attorney General and see what the laws are in your state to see what your rights are. This is something that would be argued in court. While this is does seem to be a violation of the general spirit of the law specifics can be argued by various legal teams. However, citizens do have the right to report anything that may be in violation so the federal agencies can investigate it themselves and make a decision about if they wish to pursue it. UPDATE: GameStop has ordered the recall of all regular PC copies of Deus Ex: Human Revolution from their shelves in agreement with the publisher. UPDATE 2: GameStop is offering $50 gift cards and a coupon for affected customers that are unsatisfied. In honor of the 25th Anniversary of Metroid’s release, I decided to have my own little game off. Even though I am what would be considered a huge Metroid fan, I have never 100% completed any of the games in the Metroid Prime Trilogy. I think now is the perfect time to rectify that. Here are the rules. I’m going to be playing the versions of the game that came with the Metroid Prime Trilogy released for the Nintendo Wii in North America. (FYI I do own all the original editions of the games as well). The goal is to 100% complete each game. That includes finding every log note, creature scan, every health and weapon expansion, and every last item in the game before completing each one. Since finding everything in the game in one go by yourself is pretty much impossible without help, I will be consulting a guide to help me get through each game. I honestly have no idea how long this will take, the games are not short if you’re going for 100% completion. Could take a few days or longer. I’ll keep everyone updated on my progress on the site’s official twitter feed. You can check updates on the lower sidebar of the site as well. I’m not going to be doing a full video record because it would be far too long and probably pretty boring. So check the feed to see my progress and send me comments. I’m also going to be logged into WiiConnect24 while playing, so if you want to send me friend tokens, just tweet me your Wii Friend Code and I’ll add you. I may post pictures of my progress as I go. 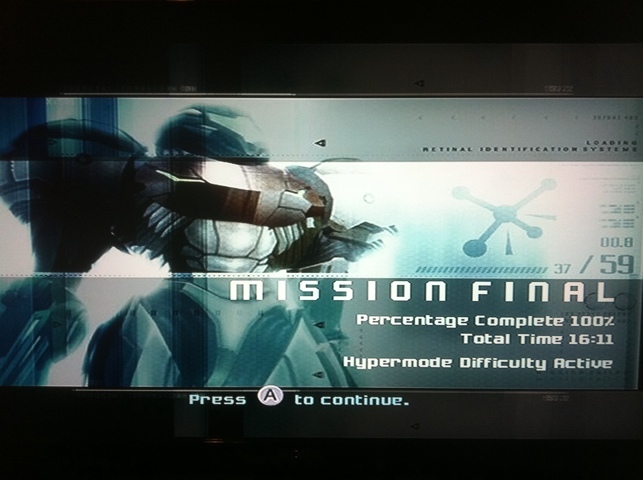 FYI, I have already 100% completed Metroid: Other M. No need to do that again. This month marks the 25th anniversary of the release of Metroid in Japan. It was a game that has inspired such a cult following from its fan base it has been made a staple of Nintendo’s portfolio of properties, putting it on par with the likes of Mario and Zelda. To celebrate the anniversary of the game series that brought what was probably the first major female action video game protagonist, Samus Aran, I have decided to scour the internet to bring back some of the best and most nostalgic memories I have of this beloved series of games. For those of you unfamiliar with the series, I recommend starting off like I did, with watching a very good retrospective series produced by GameTrailers.com a few years ago, right around the time Metroid Prime 3 was releasing on the Nintendo Wii. They go into pretty explicit detail about the release of the games, the platforms they were released on, and along the way you can get a feel for just what has made this series so beloved for the past twenty-five years. Metroid was the brainchild of one of the major Nintendo head honchos, Gunpei Yokoi. Due to his pedigree during the early Nintendo years some people put him on par with his pupil, Miyamoto (considered by many Nintendo fans to be the father of us all) and one of the reasons the company was so succesful with games and game systems. Yokoi is also considered to be the father of the Nintendo Game Boy, which was a highly successful handheld device that kept Nintendo on top of the handheld market for several generations. Like a match made in heaven, Metroid 2 would release exclusive to this handheld platform, continuing the story of Samus Aran, and expanding the Metroid universe even further. I have to admit personally that while I did own an original NES (as well as an original Game Boy) I was severely limited by funds and only could have so many games for the system and sadly Metroid was not one of them. I also was never fortunate enough to own a Super NES during its lifespan, and while I had seen games demoed on it when visiting various friends, I never got to experience any of them myself during the 16-bit era. This is why I’m so grateful that the Nintendo Wii had the Virtual Console store, and it actually was a huge selling point for me when buying the system. I wanted to be able to play all these classic games I missed out on and the Metroid series was a big part of that. For those of you who would prefer an abridged retrospective of what those years were like, enjoy this brief retrospective that Nintendo did just prior to the release of Metroid: Other M. For a short, it’s actually extremely well done, narrated by Samus Aran herself, showing the story of the first three Metroid games cut to remastered CGI footage which retold the ending of Super Metroid (Metroid 3). Following Super Metroid, the glory days of Metroid would hit a dark period following the end of the 16-bit era. In the aftermath of the massive failure of the Virtual Boy, Yokoi was forced to leave Nintendo and tragically died two years later in a car accident. Many have considered his death a conspiracy, or assume had he not been fired from Nintendo he would still be alive today, but no one can really predict that sort of thing. Regardless, There was no Metroid game released for the N64 generation. But it wasn’t going to be the end of Metroid forever. Nintendo now had a new console, the GameCube, which was in last place in the console war behind Microsoft and Sony. While it was last, It had some graphical power behind it if you knew how to develop for it well enough. They also had the direct access of a very talented second party developer named Retro Studios, and they were going to release a new kind of Metroid game for a whole new generation. What follows is considered to be one of the most nostalgic game commercials of all time. Metroid Prime was a major hit for the Nintendo GameCube and became a killer app for the console in a time when it was desperately needing one. 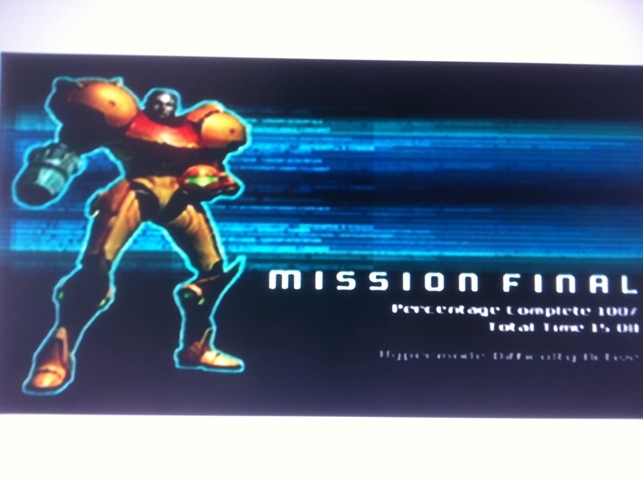 This was around the time I started to get into Metroid. After seeing all the positive reviews of the game, I just had to play it for myself. Once Metroid Prime released for the Player’s Choice line, I bought a GameCube off a friend of mine just so I could play the game! When Nintendo announced they planned to bundle the game with new GameCubes I sold my GameCube back to my friend (for exactly what I paid for it) and bought a new silver one, because the bundled copy of Metroid Prime had a behind the scenes preview disc for Metroid Prime 2. That preview disc was gearing up to be a major collector’s item. What made it so special was it could only be obtained by either buying a new GameCube bundled with Metroid Prime or buying five listed Nintendo games and registering their unique codes on Nintendo’s website. This early game registration site would be a precursor to Club Nintendo. Ironically enough, to this day I’ve never opened the game’s package. Metroid Prime 2 released just before Christmas 2004. It would be the last Metroid game to release for the GameCube and the first to include multiplayer. Even with its few deeply loved games, the GameCube still finished last in the previous console generation war, unable to meet the minimum amount of sales Nintendo desired. But a new generation of consoles were on the horizon, and Nintendo knew for it to be a success not only would it need to have something to set it apart from its peers, but the full backing of all their beloved properties, and Metroid Prime 3 would need to release for it, taking full advantage of the new Wiimote controller. When Nintendo was ready to release it, they were sure to make it a major staple of the Wii’s marketing blitz. The Nintendo Wii was selling out everywhere for well over a year after release thanks to its proper marketing, great games, and unique control system. Nintendo released a limited edition of the three Metroid Prime games, called the Metroid Prime Trilogy, to take full advantage of the Wii’s control scheme, and released it in limited quantities for the same price of Metroid Prime 3. With the Metroid Prime Trilogy complete, Metroid went dark at Nintendo. Retro Studios was now working on other projects, but Metroid would not be gone forever, and during an E3 press conference, the head honchos at Nintendo of America announced that a new Metroid game was coming, and it would be developed by Team Ninja, the company responsible for Dead or Alive and Ninja Gaiden. Metroid: Other M was a different kind of game that people were not expecting. This was not another Metroid Prime game. It went back to the original game story of the original Metroid games, but also touched upon the expanded Metroid Universe only previously seen in print. A lot of people criticized how Samus Aran was depicted in it, but I had an appreciation for the game that other critics didn’t. It wasn’t as overwhelming as the Metroid Prime games had been, (with the overwhelming desire to scan anything and everything) and the linear nature of some of the levels actually helped with exploration. I had a lot of fun playing this game, I enjoyed the CGI cutscenes a lot, and I thought the ending was very satisfying. Now that the Nintendo Wii is on its way out, what is next for Metroid and its hero Samus Aran? The Wii U is going to be Nintendo’s first strike at the next generation of the console war, which is currently unanswered by Sony and Microsoft. Currently, there has not been a Metroid game announced for the platform, but Nintendo knows they have one of the most recognizable property catalogs of any game studio in the world, it would be a shame if they were to let it go to waste. Ladies and gentelmen, Rod “I met him at E3” Fergusson. Gone gold is a very long standing term, referring to the Gold Master of a game, the copy that all other mass produced copies come from. The master disc will have a gold finish, so as not to degrade. That means Gears of War 3 is done, and has been shipped for mass production. And for those of you interested, here’s the game’s very awesome opening cinematic. Gears of War 3 is coming September 20th, 2011 exclusive to the Xbox 360. This is just a quick warning for everyone who visits this site for its technical information. It turns out that since it’s so easy to build a hard drive for an Xbox 360 Slim, people have been selling third-party unofficial drives through methods like Amazon and eBay since they’re cheaper than what Microsoft is charging for them. Recently, I got a comment on my Xbox 360 Slim Hard Drive installation video from an Xbox Slim user who could not play Halo 2 even though he had upgraded it with a Hard Drive. I was troubleshooting for this poor guy for several days, and we could not get the game to run on his slim no matter what he did. Finally I did some research into the problem and found the solution. It turns out generic, homebrew and international drives are not properly formatted to Xbox 1 specifications. Xbox had a specifically partitioned hard drive which its games made use of. This was in lieu of having only 64MB of RAM, game developers created a pagefile in the hard drive to make up for it. Since the 360 is backwards compatible, all Microsoft made drives have this partition in place so Xbox 1 games can make use of it. If the drive is not properly partitioned and formatted the way an Xbox 1 game expects, the game will throw an error and refuse to load. It turns out the idiots who are making these drives and selling them on the cheap are not aware of how to properly partition the drives they are selling, and while they are working fine for Xbox 360 storage, without the Xbox 1 partition in place in the hard drive you will not be able to play any of the Xbox 1 games that are backwards compatible. This is a problem even if the game was downloaded through Xbox Live, it still will not play. In short, they’re a plague, avoid them as such. Be aware of what the Xbox 360 Slim HD packaging looks like, and be wary of any deals you might be getting on them. If your drive is not able to play an Xbox 1 game, return it immediately and get a refund. UPDATE: This video might help. This is what actual Xbox 360 Hard Drives look like. If your drive does not look like what is featured in the video, you likely have a fraudulent drive. Humanity is on the brink of destruction. The planet has been overrun with an invasion force which converts or kills all enemies which stand in their way. They’re changing the weather, dropping the temperature of the planet to better suit their survival. We will not survive the winter. The only man who stood any chance of standing in their way is dead, executed in the back of the head by one of his own squadmates at the moment of his conversion. Humanity must resist, and a new hero must step forward to lead the charge. What a way to start a game! Nathan Hale is dead, and you are Joseph Capelli, who not only has the weight of protecting his wife and child but also the entire surviving Earth population. Your only hope is the mysterious Dr. Malikov, who sought you out after the events of Resistance 2. You’re going to need to keep him alive as he crosses the devastated country, preparing for one last stand which will hopefully destroy the Chimeran invaders once and for all. Gameplay has been retooled in this game quite a bit. You are no longer restricted to the two weapon limit as you were in Resistance 2. The weapon wheel, which allows you to carry all the weapons you pick up over the course of the game, has made its glorious return. The more you use a weapon and the more kills you accumulate with any weapon in particular will effectively level the weapon up, giving you more capabilities, including improved zoom or better damage. Regenerating health is gone, making you reliant on health packs. Some of this will carry over to multiplayer. Some additions to multiplayer include the ability to get payback on the last player who killed you (they’ll be flagged on your HUD). On a nice added bonus the game will support cooperative through the single-player campaign using either split-screen or online, however it will be limited to two players. In the past, Resistance: Fall of Man supported two player co-op, but only through split-screen, and Resistance 2 had an entirely separate co-op campaign that could support seven players online (with a maximum of two through split-screen), and trust me YOU NEEDED those seven players just to progress. Online co-op through the single player campaign has been wanted since Resistance: Fall of Man shipped, and we’re finally getting it. A multiplayer beta test for the game has already begun for people who own SOCOM4 and to people who preordered off Amazon. Pretty soon Playstation Plus users will be granted access, and following that, the rest of the PS3 population. Sony has made an unscheduled shift in the console war and dropped the price of the Playstation 3 by fifty dollars. The Playstation 3 usually has two models out at any given time, one with a lower end hard drive capacity and another with a higher capacity hard drive. These sizes will change on a regular basis as new models are continuously phased in and out, but the price has remained the same. Today, that changes. The lower end Playstation 3 currently at a capacity of 160GB will now cost you $249US, the premium model PS3, which has a capacity of 320GB, is now $299US. If you were on the fence about buying a PS3, now would be a good sign to buy one as the price drop is immediate and should be honored by all retailers. This is not unheard of in the PS3 lifespan. The first Playstation 3 price drop was done in order to phase out the initial 60GB launch models so they could sell new 80GB units at the 60GB launch price. Once the 60GB model sold out, Sony replaced them with Playstations with smaller hard drives and less features, particularly they took out Playstation 2 compatibility (which still has not returned). Currently the PS3 is in last place in this generation of the console war. Nintendo, even though they are going to launch their next generation console first with the Wii U, has such a far lead ahead of Sony and Microsoft, nobody expects them to be overtaken. However, Sony does has the chance to take second place from Microsoft before the console generation ends, and this could be a preemptive strike for them to overtake the Xbox 360 in sales by Christmas. The PS3 is still the only console with a Blu-Ray player, and with HDTV’s market getting larger than it was at the console launch, could make it a good deal for new HDTV adopters. Plus, a ton of PS3 exclusive major releases are coming this November, as well as third-party cross-platform releases. With the Playstation Vita handheld coming just around that time, this could very well be the start of the most exciting holiday in the history of gaming.